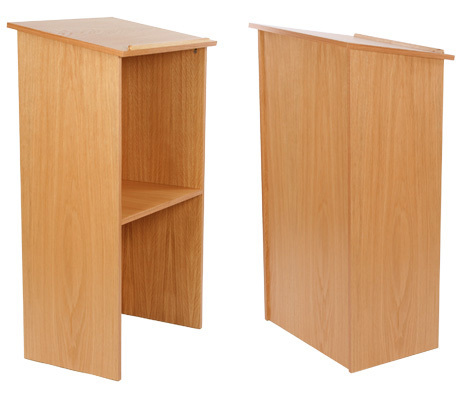 A durable lectern with shelf in wood veneer. 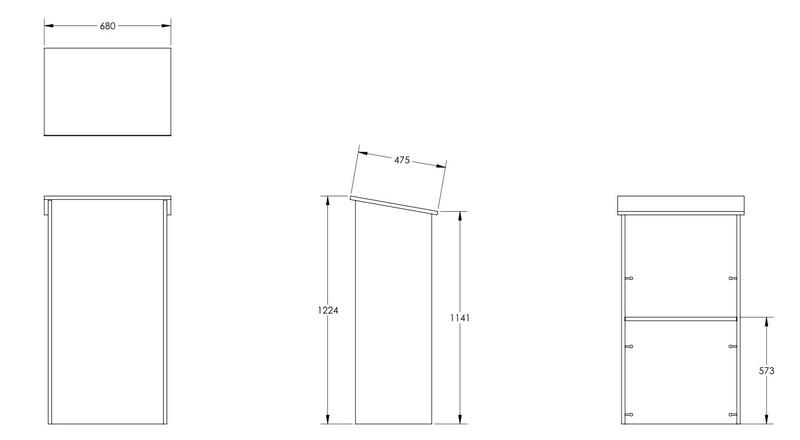 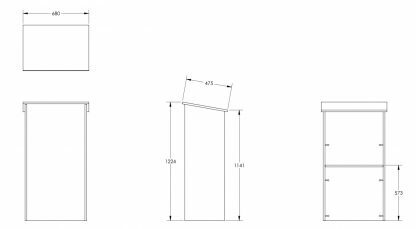 Height 1210mm, width 635mm x 380mm. 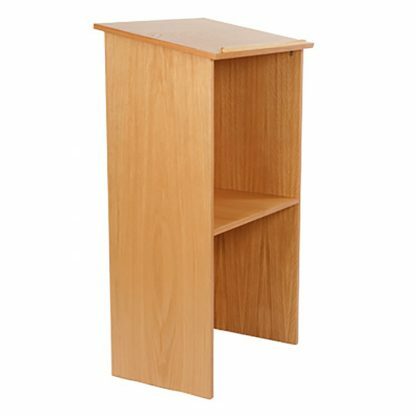 Desk top 700mm x 460mm.